Vietnam’s seafood exports to the United States reduced in the first five months, according to the Vietnam Association of Seafood Exporters and Producers (VASEP). Also, it will face difficulties in recovering in the next few months, VASEP said. The nation saw a year-on-year growth of 7.5 percent in the total export value of seafood to US$ 2.76 billion in the first five months, but the export value of local seafood products to the US fell by 12.7 percent year-on-year to US$ 461 million, the association said. The reduction made the US only the second largest export market for Vietnam in the first five months of this year, against the first place in the same period last year, it said. The fall was partly due to the anti-dumping duty on Vietnamese tra fish and shrimp in the US market. The exports of Vietnamese seafood products to the US was expected to face difficulties in recovering by the end of this year, because the US inspection programme for catfish would be effective September 2017. Also, with Donald Trump becoming the US President, the currency market has seen many changes, and the new US government may increase tax, and technical and protection barriers, the association said. During the first five months, the EU was the third largest export market for Vietnamese seafood products, but still had a reduction of 0.7 percent in the export value. Meanwhile, Vietnamese seafood products reached a year-on-year growth of 29.3 percent, 20.1 percent and 26.1 percent to Japan, China and the Republic of Korea, respectively. 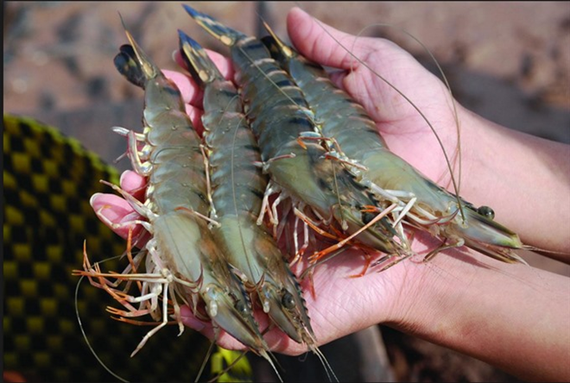 VASEP said tra fish and shrimp exports had slow growth because the material supply for shrimp and tra fish was limited, and prices for the material of those products increased sharply. Therefore, enterprises had changed the structure of seafood export products and markets to promote exports of tuna, squid, octopus and other seafood products. Vietnam’s tuna exports gained a year-on-year increase of 20 percent to 216 million USD in the first five months due to the growth of exports to traditional markets such as the US and the EU. In the first five months, the nation’s squid and octopus exports rose by 39 percent to US$ 199 million against the same period last year.